HINWEIS: Die Bereitstellung der Grafiken wird zum 29.07.2011 eingestellt. Bei Bedarf wird die Produktion wieder aufgenommen. I was born in Fukushima. My family and friends have suffered from the radioactivity. 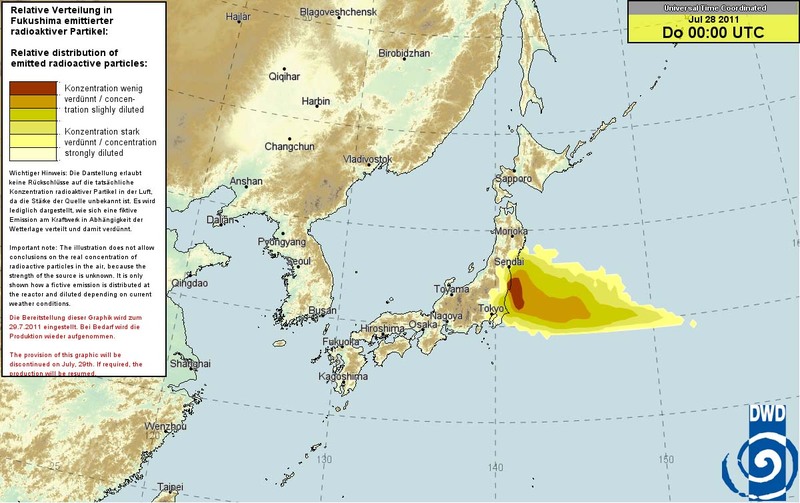 However, it is no enough information about the radioactivity from Japanese Government. Your simulations have helped us very much. Please keep publishing the simulation.